Healthy snacking throughout your day is a great way to keep your energy up and your blood sugar stable. 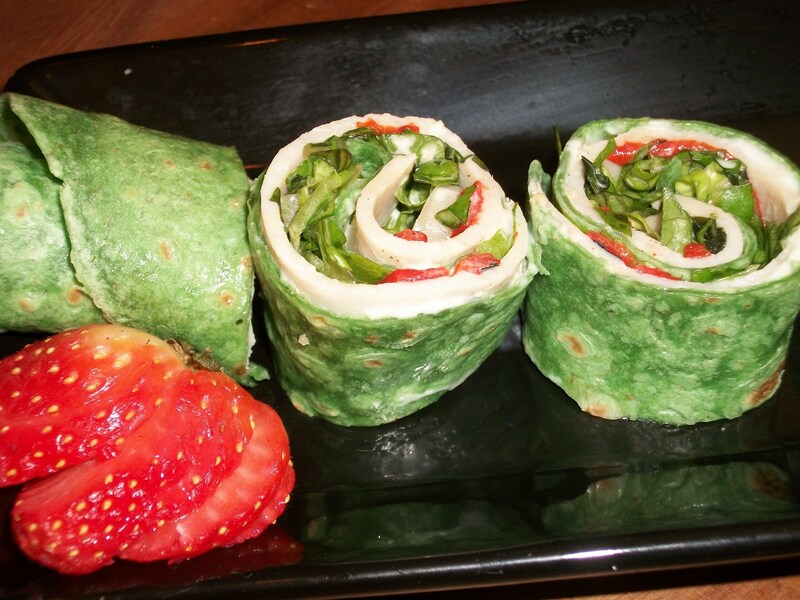 Here’s a SUPER SIMPLE snack roll-up that is tasty, fresh, and portable. Enjoy! You can even do dessert-like versions to calm a sweet tooth. My sweet favorites are tortilla + peanut butter+ sliced banana + honey, or tortilla + hazelnut/chocolate spread + sliced strawberries. Roll up tightly, slice into rounds (like sushi rolls) and enjoy! Mmmmm! Snack-tastic.